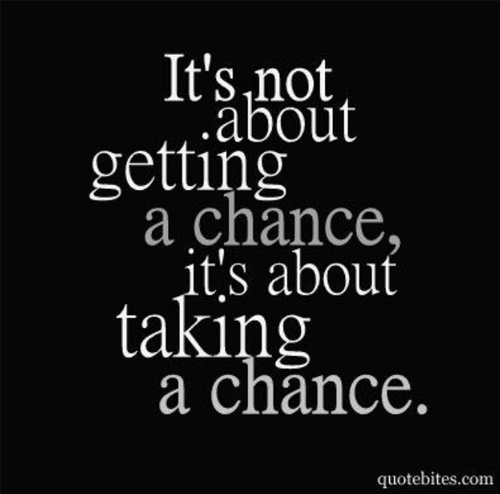 Today’s Inspirational Monday is about chances! Or better said it’s about taking them. We get chances everyday. We get a chance every corner we take. Maybe not the one we wanted, but there’s always a chance. When you’re in a crossroads and a car stops to let you pass, you can take the chance and cross over or you can let it go and wait for the next oportunity to cross over. More often than not we tell ourserves that we never catch a break, but that’s not true, we just need to take the chances that life throws at us! Next Post Back to base baby!